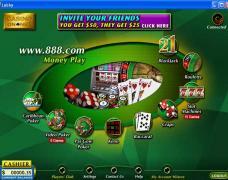 888Slots.com (Casino on Net) is the oldest and most prestigious online gambling operation out there. The casino has a great selection of slots, available both in a downloadable and a flash version. The graphics are outstanding in both software variants. 888Slots.com runs an excellent loyalty program and it offers its new players a 100% sign-up bonus up to €140. There are monthly slots tournaments featured as well, with a prize-pool of $10,000. 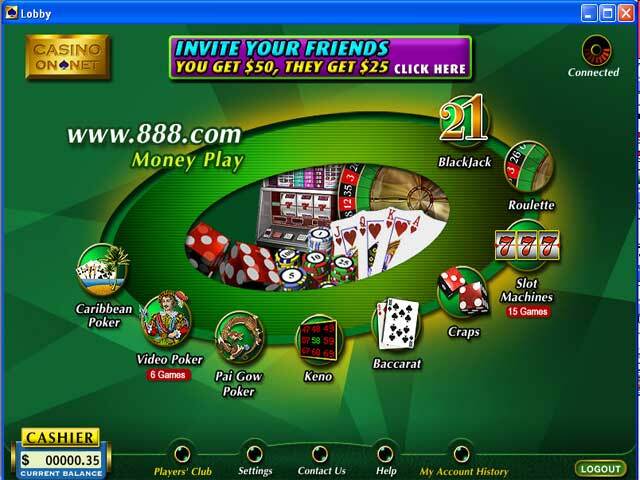 888 Casino (Casino On Net) is one of the oldest names in online gaming since they were founded in 1996. This being said, 888 has had a long time to perfect their slots games, and they’re one of the top places to play. A big reason why the 888 Casino slots (888Slots.com) are so great is because of the modernization their games bring to the table. Whether it’s a slots game based on the latest Call of Duty video game, or titles based on popular movie/comic characters like Thor or Spiderman, 888 is always up to date on the latest trends. As far as graphics and overall software goes, 888 is unparalleled in this regard since they are considered one of the top software designers in the world. In fact, they’ve even developed software for major casino companies like Caesars Entertainment in the past. This being said, 888 Casino slots games like City Life, Knights and Maidens, and Monopoly are very aesthetically pleasing. Along with the good graphics, all of the games feature fun and exciting background noises - though there is no constant music playing with the games. However, the lack of constant background music may be a benefit to some players who are easily annoyed by slots music. If there’s any knock against the 888 slots, it’s that they don’t have as many titles as other big online casinos. But considering the fact that they offer over 60 slots games, this should be more than enough for most people. Along with this thought, most of the 888 slots are vastly different from each other, unlike what you’ll see at some of the Real Time Gaming casinos. Also note that 888 frequently runs slots tournaments with prize pools in excess of $10k. Moving to every slots player’s favorite topic - progressive jackpots - 888 Casino does a decent job of running some big games. Ultimate Grills Thrills and Millionaire Genie are especially of interest in this department since they’ve featured jackpots worth $1 million or more in the past. Most of the other progressives offer moderately-sized jackpots worth $20k-$30k. When looking at the 888 Casino slots games from an overall perspective, the software and game design are the best reasons to play here. Of course, the massive jackpots offered with Ultimate Grills Thrills and Millionaire Genie are also excellent reasons to join 888. 888 Slots.com runs an excellent casino customer suport and it offers its new casino slots customer every month an attractive sign-up offer (welcome bonus).